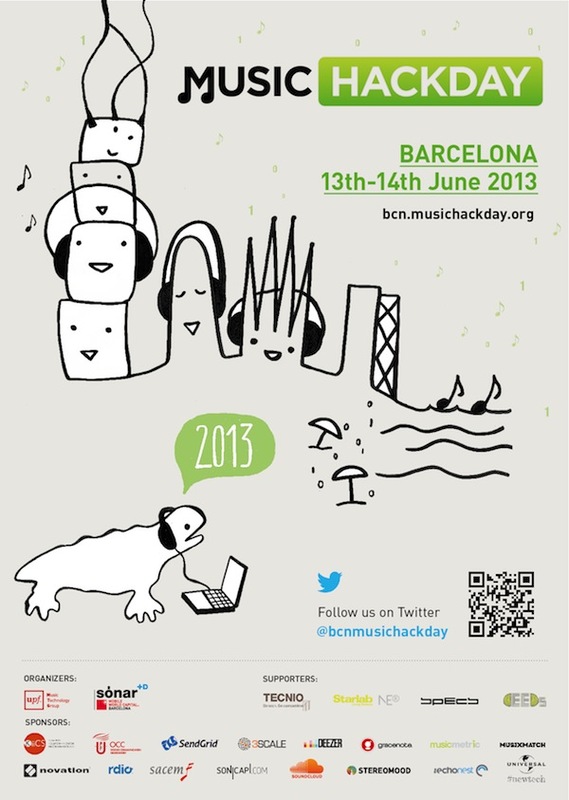 Last week University of Pisa, Augsburg and SPECs attended the Music Hack Day 2013 in Barcelona, an event also supported by CEEDs. During the hack session, a server running SSI to process and stream signals captured from the e-Health board for Arduino was set up, for which parts of the CEEDS sensor platform were used. CEEDs partners developed an old school jump and run game “BlowUp” steered with physiological sensors only: http://hcm-lab.de/projects/ssi/mhd13/. The game won the 2nd price in the challenge: best apps in terms of originality, innovation, presentation and market potential.